But how many of those are paying subscribers? 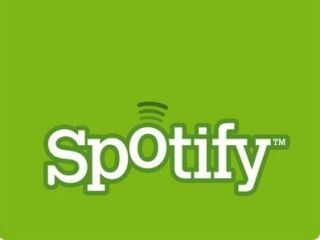 Music-streaming service Spotify has hit a million users, according to its UK Managing Director Paul Brown. Speaking at the MediaGuardian's Radio Reborn conference on Monday, he revealed that the music service has gone from strength to strength since its official invitation-free launch in the UK in February this year. According to the website PaidContent, however, Brown didn't disclose how many of the million UK users actually paid for the music content the service offers. Instead he told audiences that it was "a decent proportion". For the uninitiated, Spotify is available in three ways: as an ad-funded service, where you have to listen to three adverts an hour; as a £10 a month advertising-free subscription; or a 99 pence a day subscription. Currently, there are around 2.7 million tracks available to listen to. Currently only six countries have the 'free' version. Other than the UK, they are Sweden (where the service originates), France, Spain, Norway and Finland. Speaking to PaidContent, Brown believes that having these different ways to approach Spotify is the key to the business, explaining "It's really about multiple models, a mixed model. "The Spotify model is about an access point which is free, supported by advertising. The premium element isn't just about no-ads; we're only just out of the blocks, it's about a platform that will grow with other things in it." Things that are in the pipeline are Spotify for phones and an archive of radio shows.